(Music Downloads Not Rated by the ESRB) Build your Rock Band library by purchasing this song game track pack: Stone Temple Pilots Pack 01. This pack includes "Big Empty", "Crackerman", "Creep", "Dead & Bloated", "Huckleberry Crumble", and "Trippin' on a Hole in a Paper Heart" by Stone Temple Pilots. PLEASE NOTE: Rock Band game disc is required to play song game tracks. This song game track pack includes 6 song game tracks at a discounted rate over individual purchases. 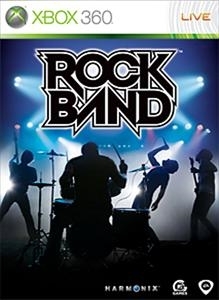 Many Rock Band songs are available as both a multipack and as a single game track. These songs are exactly the same. It is possible to download the same song twice. For song credits, visit www.RockBand.com. Compatible with Rock Band 3 and Rock Band Blitz.